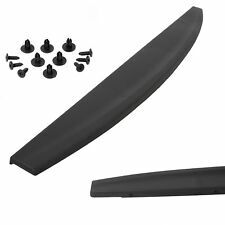 Tailgate Top Cap Protector Trim Molding. 2002-2008 Dodge Ram 1500. 2003-2009 Dodge Ram 2500. 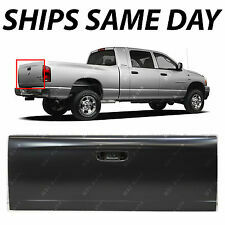 Tailgate SHELL for Your 2002 - 2008 Dodge Ram 1500/2500/3500 ! Will NOT Fit New Style 2009's . >>>WE CAN PAINT IT FOR YOU! ill Fit Dually Models; Does NOT Have The Holes For The Lights . Tailgate Spoiler Cap. 1999-2000 Chevrolet Silverado (1500, 2500). 2001-2006 Chevrolet Silverado (1500, 2500, 3500). 2007 Chevrolet Silverado (CLASSIC). 1999-2000 GMC Sierra (1500, 2500). 2001-2006 GMC Sierra (1500, 2500, 3500). Includes Plug to Cover Sensor Hole on Garnish - for vehicles without Sensors. Note it is. 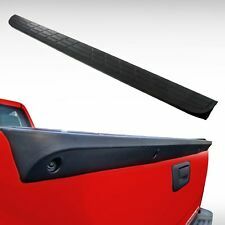 One piece of rear tailgate moulding spoiler protector. 2007-2014 Chevy Silverado 1500. 2007-2014 GMC Sierra 1500. Light weight and durable high quality ABS plastic. Our office hours are. 2000-2006 Toyota Tundra. Buy A Handle That Is As Tough And Rugged As Your Tundra. TOP QUALITY 2PCS REAR LIFTGATE TAILGATE LIFT SUPPORTS Fits 2008-2014 Dodge Grand Caravan. 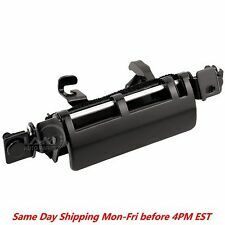 2008-2014 Chrysler Town & Country Base Mini Passenger Van 4-Door Liftgate. 2008-2014 Chrysler Town & Country LX Mini Passenger Van 4-Door Liftgate. 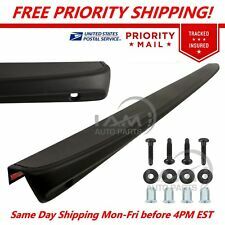 For Your 1999-2006 Chevy Silverado/GMC Sierra Pickup ! Tailgate Shell ONLY; Hardware NOT Included . Will NOT Fit Old Style 1999 Trucks . 2005 Nissan 350Z 35th Anniversary Edition Coupe 2-Door Hatch. 2003-2008 Nissan 350Z Base Coupe 2-Door Hatch. 2003-2008 Nissan 350Z Enthusiast Coupe 2-Door Hatch. 2005-2008 Nissan 350Z Grand Touring Coupe 2-Door Hatch. NEW TAILGATE HANDLE & BEZEL TRIM SET KIT. Backed by Our Exclusive 1 Year FREE replace Warranty! F250 Super Duty. F350 Super Duty. F450 Super Duty. F550 Super Duty. 1993-2011, 1990. 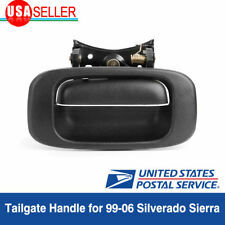 Buy A Handle That Is As TOUGH And RUGGED As Your TUNDRA Fits Tailgate Handle Textured Black With Keyhole. Tailgate Top Cap Protector Trim Molding. 2004-2011 Nissan Titan. 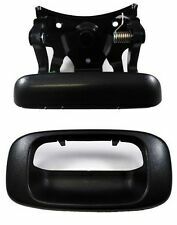 Tailgate Hinge Insert Kit. 1996-2001 Dodge Ram 1500. 1996-2002 Dodge Ram 2500. 1996-2002 Dodge Ram 3500. 1987-2003 Ford F-150. 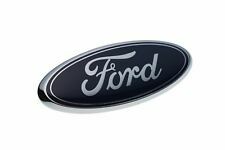 2005-2006 Ford F-150. 1987-1999 Ford F-250. 1997-1997 Ford F-250 HD. Liftgate Handle. 1999-2003 Lexus RX 300. Tailgate Spoiler Cap Mounting Hardware. 2014 Silverado & Sierra (2500HD, 3500HD). 1999-2000 Chevrolet Silverado (1500, 2500). 2001-2006 Chevrolet Silverado (1500, 2500, 3500). 2007 Chevrolet Silverado (CLASSIC).